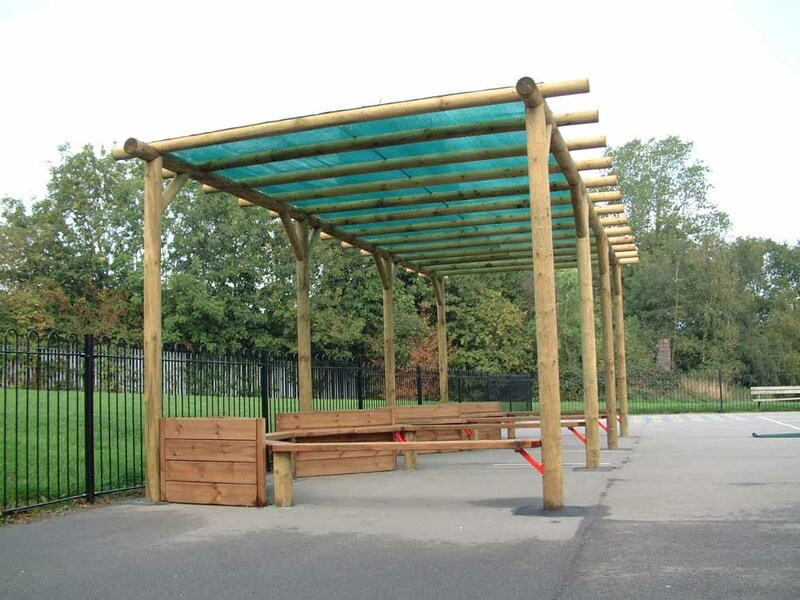 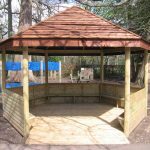 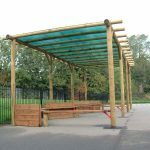 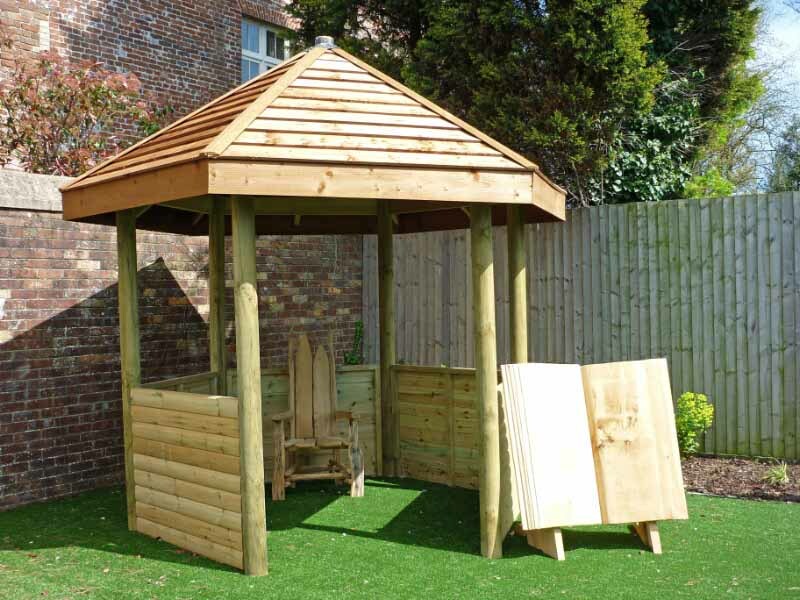 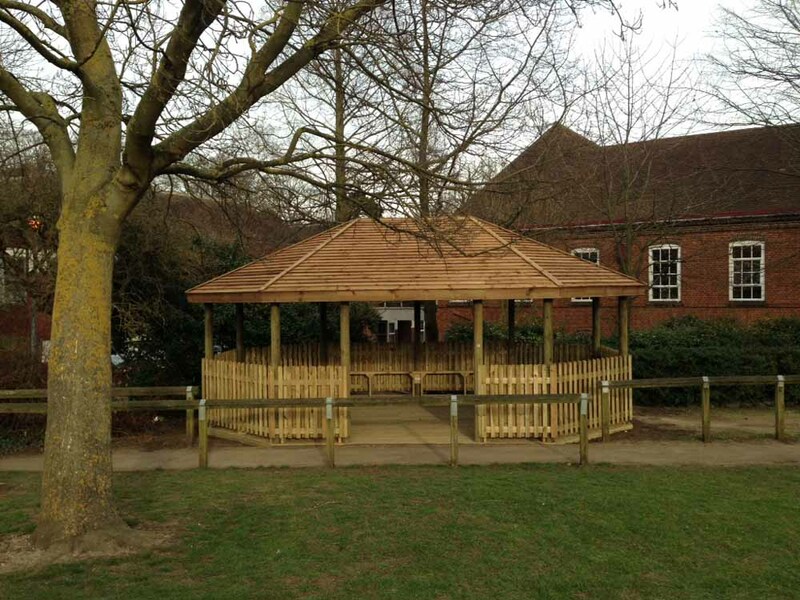 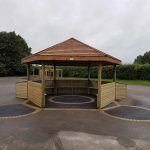 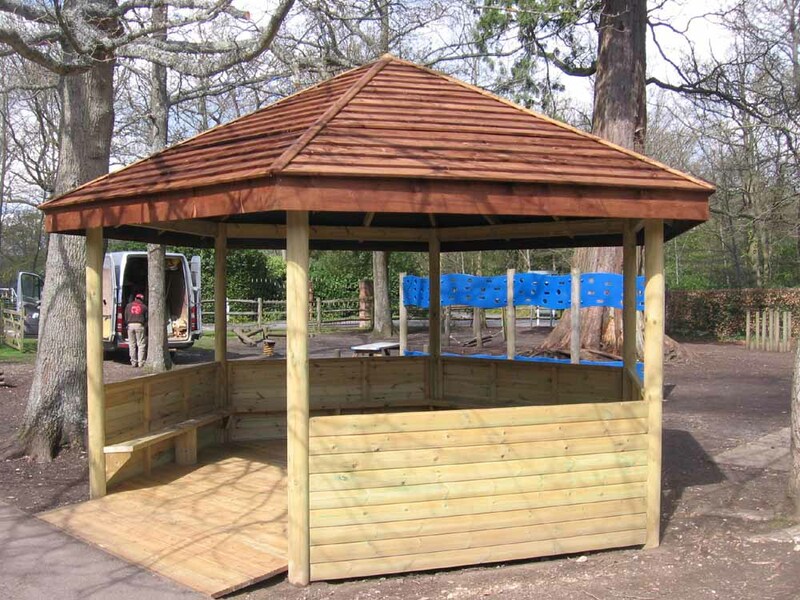 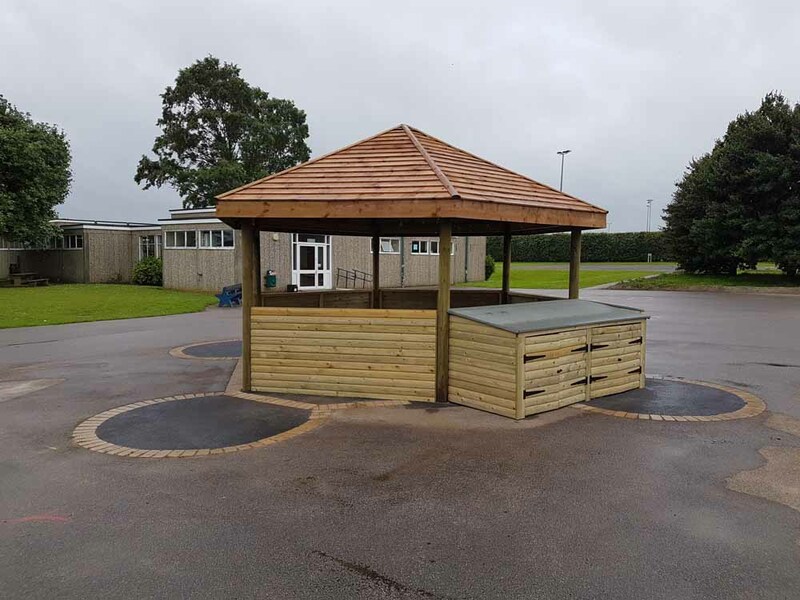 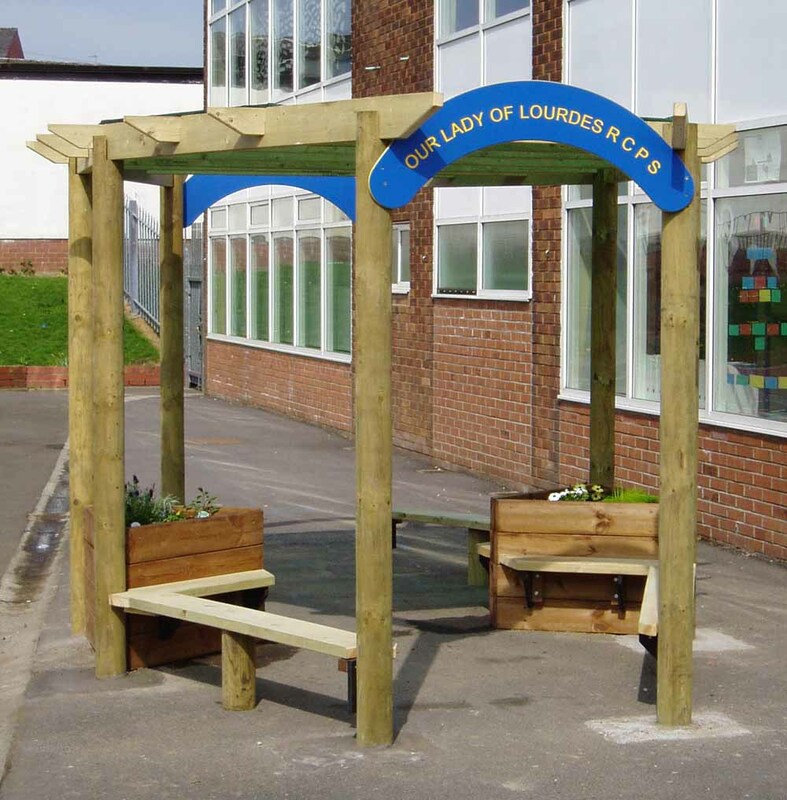 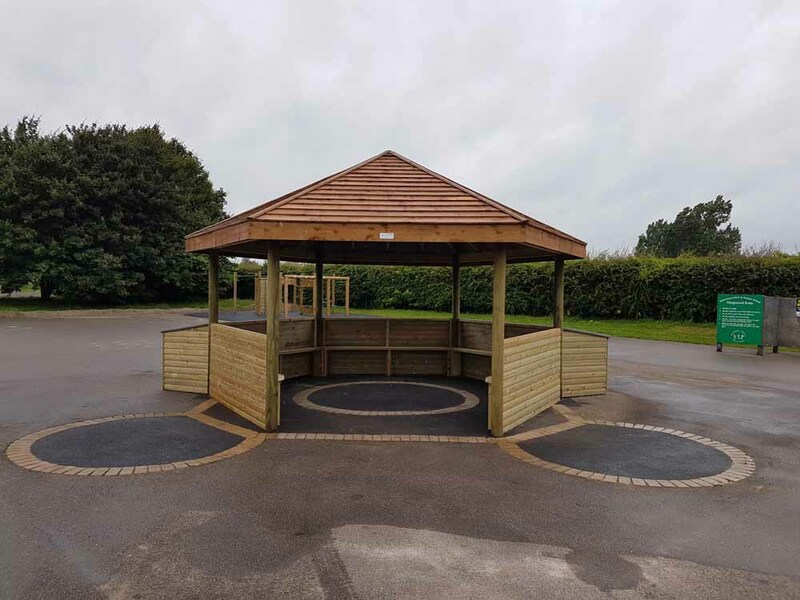 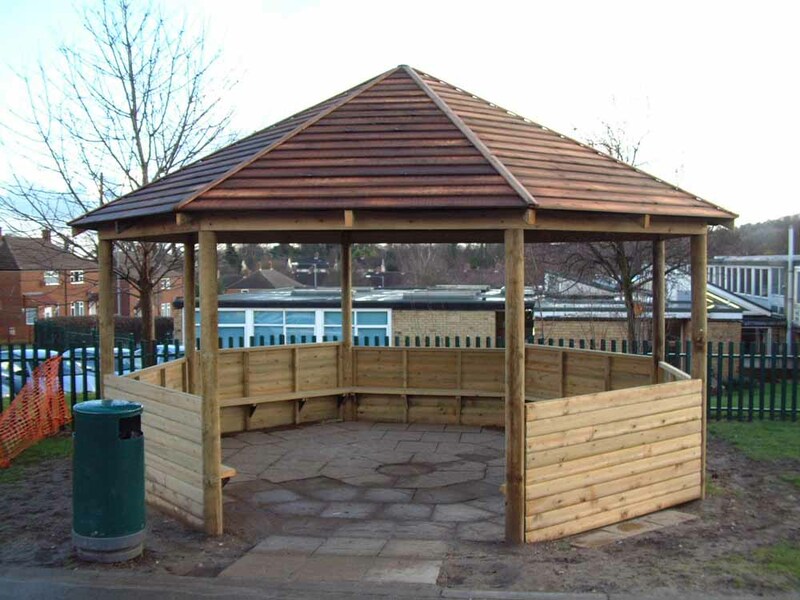 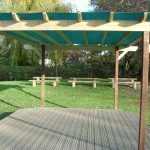 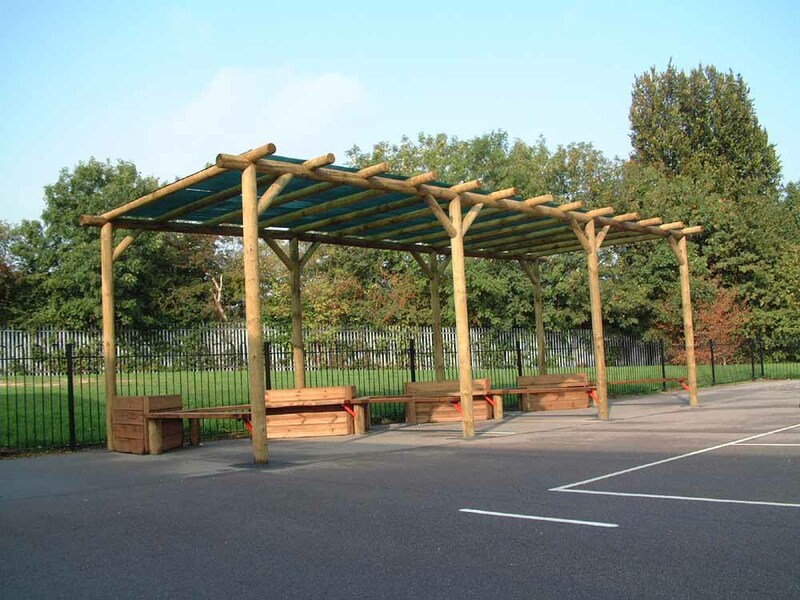 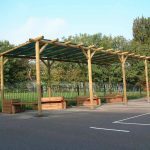 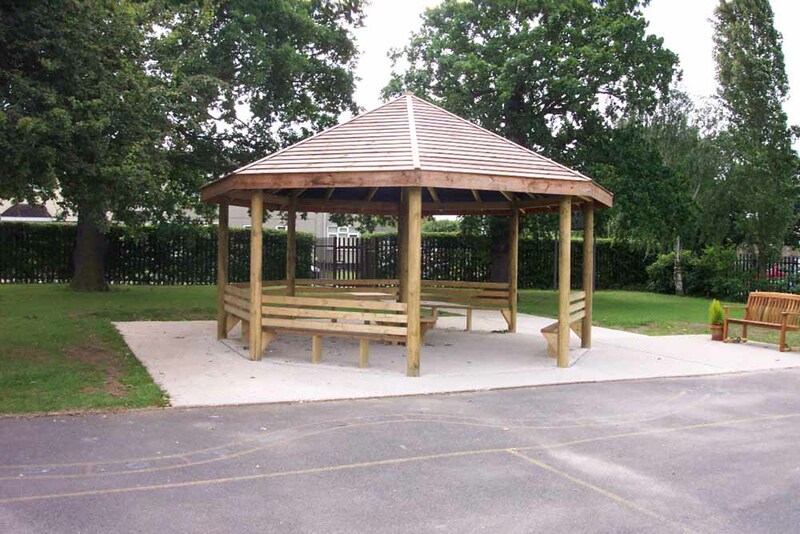 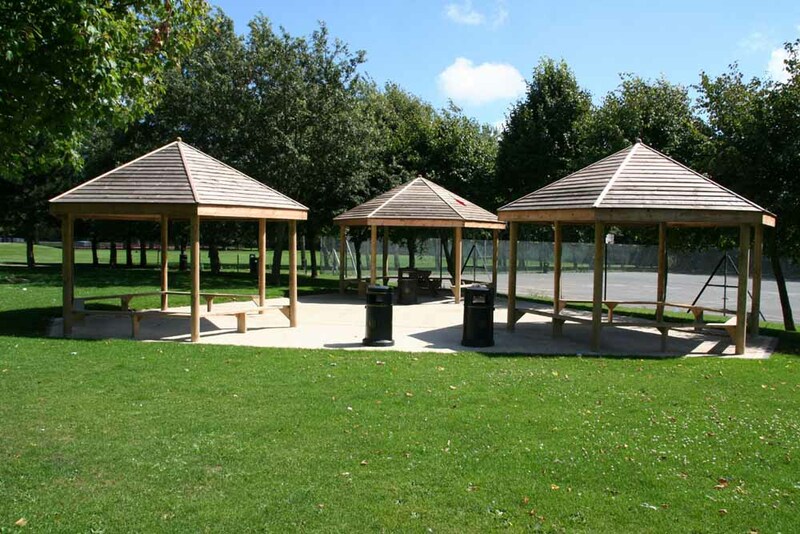 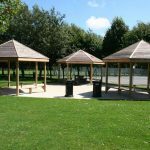 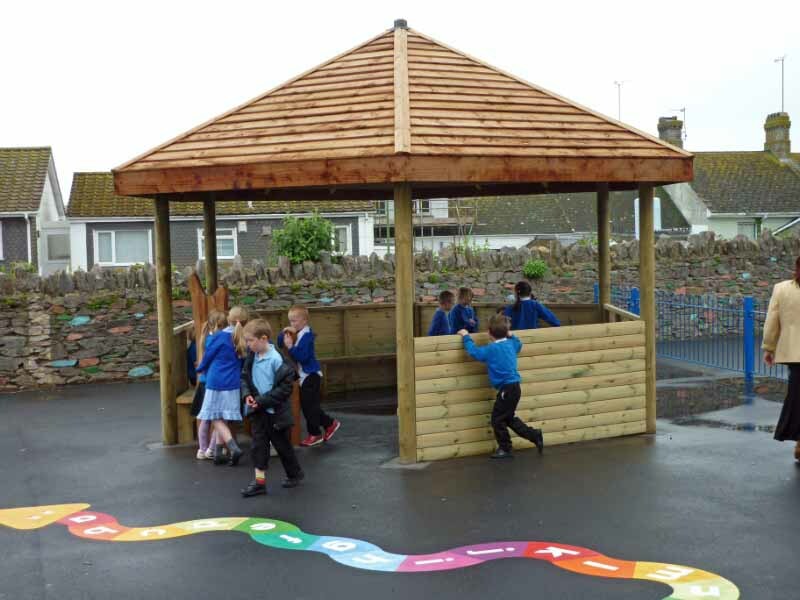 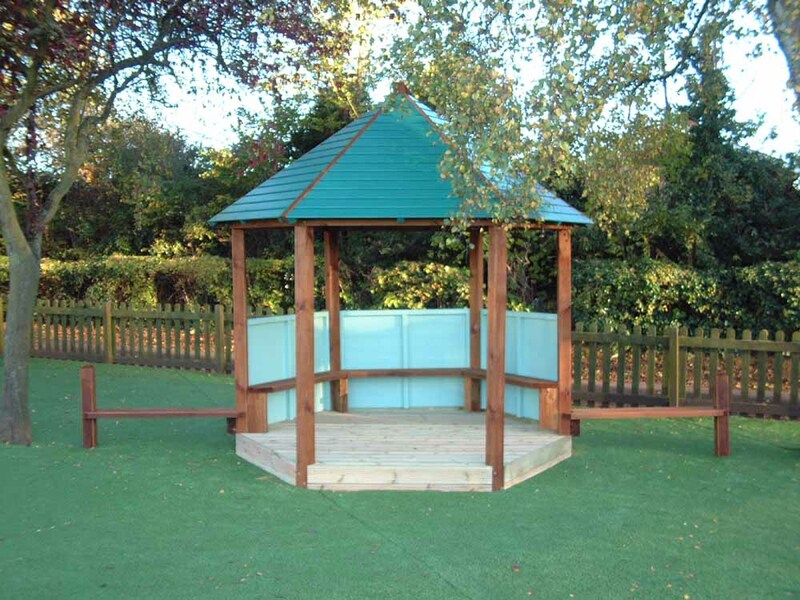 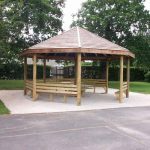 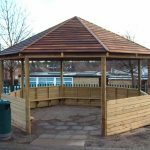 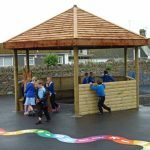 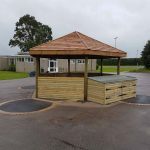 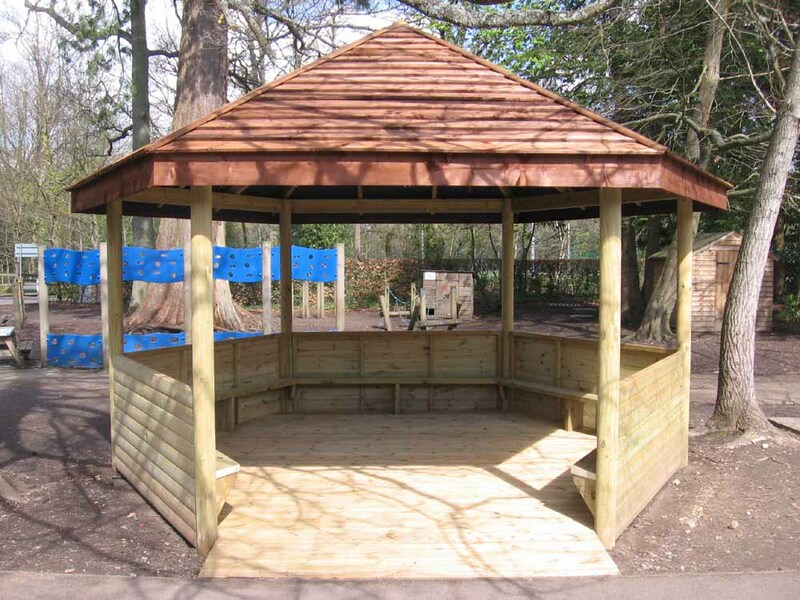 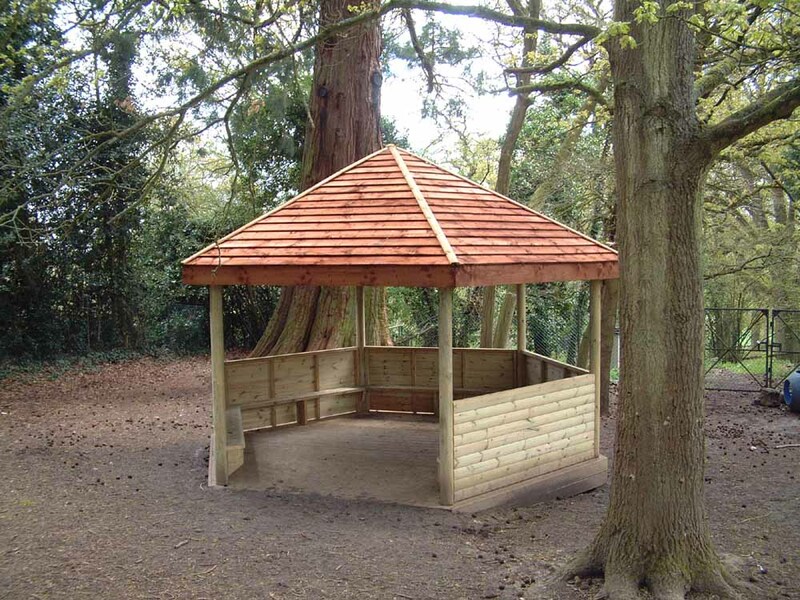 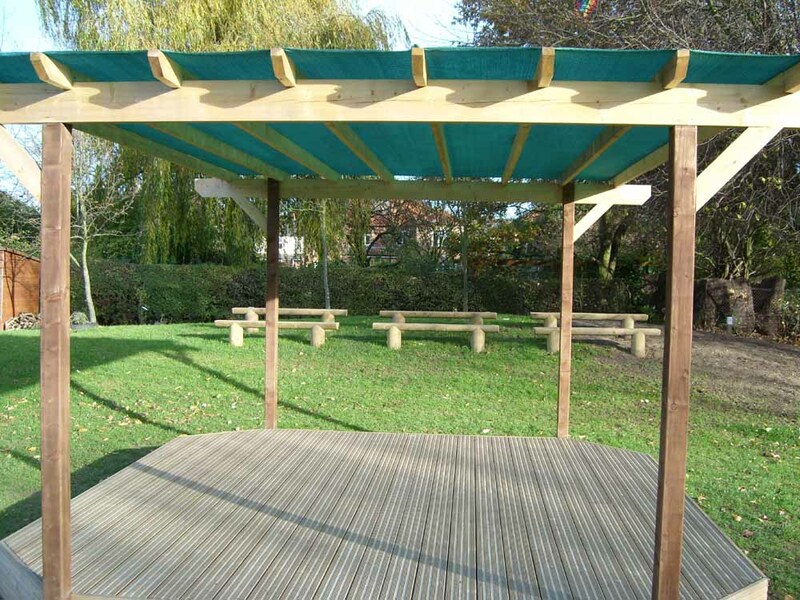 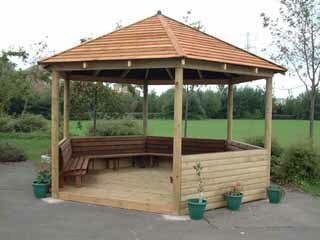 As social skills are an important area for children to develop, our hexagonal and octagonal wooden gazebos provides a sheltered place for children to meet and chat at break and lunch times. 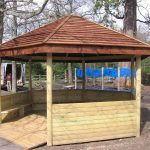 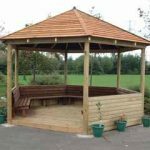 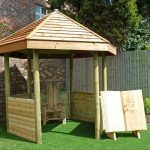 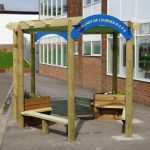 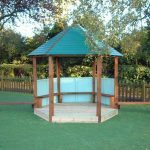 Side panels and bench seating can be added as required and various floor options are available for our timber gazebos including, raised and flush decking. 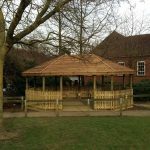 Conversely, if you’re looking for a lighter structure to cast some shade and provide an area to meet, eat, and be social, our elegant timber pergolas may be perfect for you. 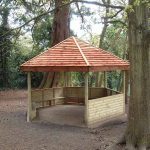 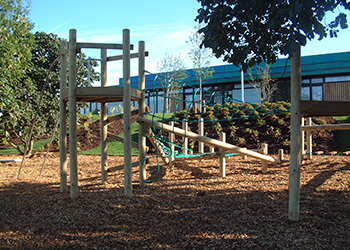 We make these to measure, so get in touch for a free site visit and quote!